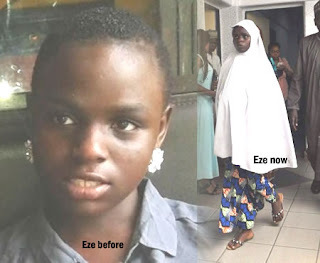 The rescued 14-year-old Ese Oruru has given birth to a baby girl, Thursday, in Yenagoa. Ese, who was allegedly abducted in Bayelsa State last August and taken to Kano State where she was converted to lslam and married out without the consent of her parents had since her return to Yenagoa live at the Police Officers mess in Yenagoa. Ese was said to have gone into labour this morning and was taken to the Government House Clinic where she was delivered of a baby girl.